In February, Gloss48 joined with Girly Bits to have an exclusive trio of polishes to be sold on their website. I couldn't resist and bought them! This is #endlesslove, a pale lavender with a very subtle holographic. I used a base coat of Duri Rejuvacote, 2 coats of polish and finished with Digital Nails Ain't Nobody Got Time For That top coat. In the sun, you can see the holographic properties peeking out but for the most part, they stayed underwraps. In the shade, you just get lovely lavender. Now, you may notice a bit of white at the bottle of my bottle. It's still there and does not affect the polish. It's my understanding that it was something to do with the suspension base but again, no ill effects were had. In the indirect light, the holographic is still missing but it's still a great spring color. I accidentally had my flash on for this photo but yay holo! This polish was a part of an exclusive trio for Gloss48.com that was available for $24.00. 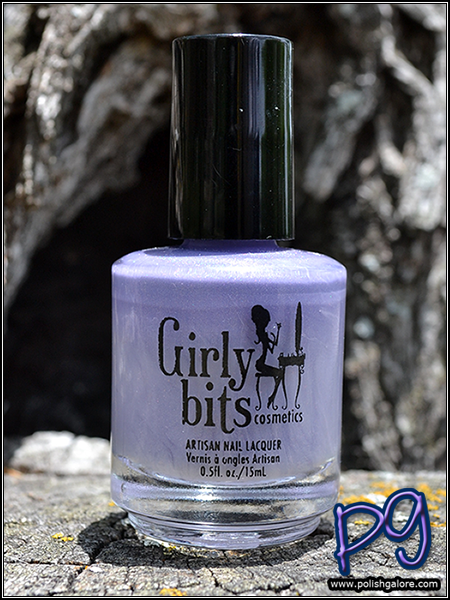 The polish is now discontinued but if you're able to find it somewhere, you won't be disappointed! This is a beauty! I really love the name of it too. It really is! I can't wait to wear it out more. Wow! 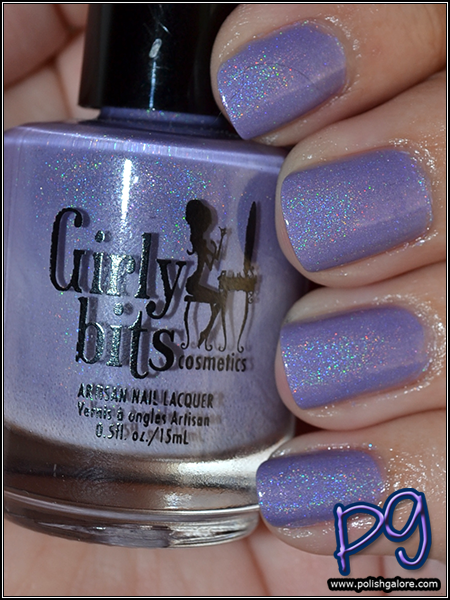 Such a pretty lavender and I love the holographic shimmer! OOO This is such a beautiful shade. 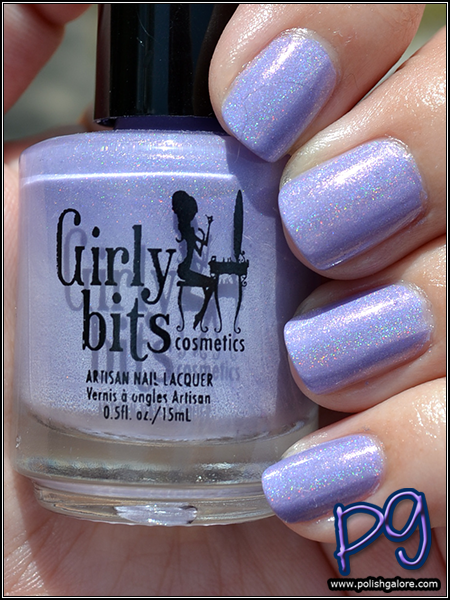 This polish is so pretty and I have to have it! It looks like the perfect one to make my nails look cute even though I had to clip them all uber short. This is so pretty! I can't believe I don't own any Girly Bits polish! this is really pretty - love it when the holo comes out to play! I love the name and the packaging and the shade!!!!! Such a subtle lavender holo. It's gorgeous and calming all at the same time! Her logo is super pretty - it's one of those collector things for me.